Hilby "Skinny German Juggle Boy"
Steve Patterson is best known as host of the hit show The Debaters on CBC Radio One. Patterson has been a professional headliner since 1997 and has taped numerous national television specials in the past decade including four Just For Laughs galas. His performance in 2010 earned him a Gemini nomination and caused host Steve Martin afterwards to exclaim "If I'd have known he was going to be THAT good, I would have cancelled him." 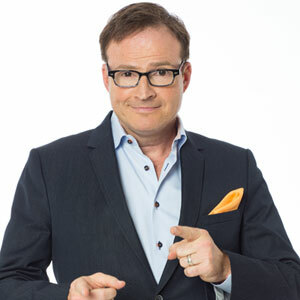 Following that performance, Patterson was name Best Male Stand-up Comedian at the 2011 and 2013 Canadian Comedy awards and was nominated for Canadian Screen Awards as Host on HGTV's I Wrecked My House and CBC's Great Canadian Screen Test. Steve's nationally toured theatre show entitled This is Not Debatable is on itunes and his The Book of Letters I Didn't Know Where to Send is available in bookstores nationwide and on Audible. Patterson's latest project VSP Podcast with Steve Patterson, making smart people funnier and funny people smarter, is available of Google Play and Apple Podcasts. * Lineups are subject to change. 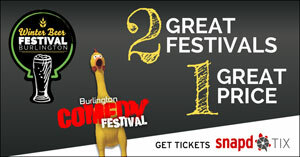 Burlington Comedy Festival © 2016-2019.